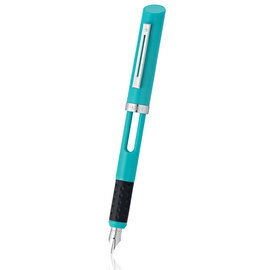 The maxi Classic Calligraphy set includes the three colour coded nib sections (broad (2.0mm), medium (1.5mm) and fine (1.0mm)), each with it's own Viewpoint cap and barrel, so that each pen is ready to use and there is no need to swap or clean nib units when a change of size is required. Also included are 14 coloured Skrip ink cartridges a tracing pad and instruction booklet. 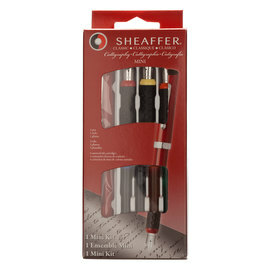 The Viewpoint barrel will also accept the Sheaffer piston converter (available separately), enabling refilling from an inkwell and a wider choice of inks. The item I ordered was a Christmas gift for my granddaughter, which she has thoroughly enjoyed using since. The service I received from The Pen Company was outstanding. Theitem was competitively priced even compared to Ebay. 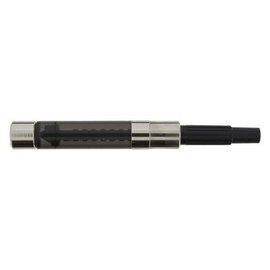 I would definitely recommend The Pen Company and the item in question. 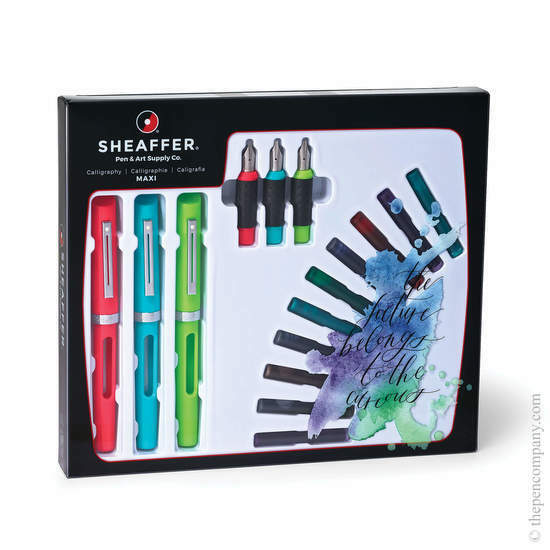 This calligraphy set was very competitively priced when compared with other retailers online. There was no extra charge for delivery. The items (I ordered three sets) were delivered rapidly, within a matter of 48 hours in fact. I placed my order on a Sunday afternoon and it was delivered to a central London address on the following Tuesday morning - by any standard, this is an incredibly good turnaround time. The recipients (each of the sets was a gift) are extremely pleased with the sets and as far as I can tell the sets are of very good quality. 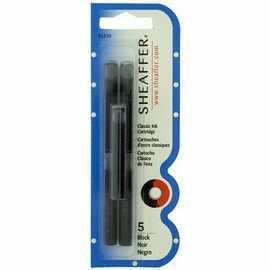 I would certainly purchase from The Pen Company in the future and recommend this company to others.